The Paul McKenna Band - McKenna himself has long been ranked among the finest younger singers and songwriters, with a powerful, emotive voice and passionate social conscience, often expressed through his songs. 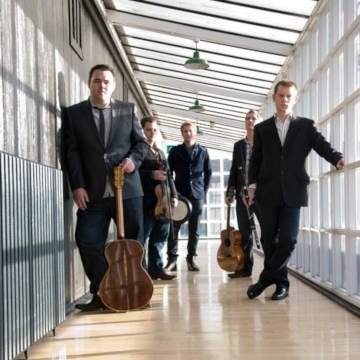 He and his band draw on both Scottish and Irish roots in a dynamic array of original and traditional material, and songs by like-minded authors including Peggy Seeger, Alistair Hulett and Jim Reid. Paul McKenna Band is currently working on their fifth album, maybe this show will give a hint of new music yet to be released.